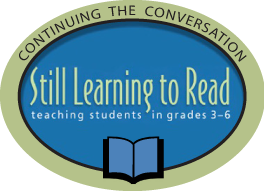 This is one of a series of blog posts that continue the conversation around Still Learning to Read--teaching reading to students in grades 3-6. This series will run on the blog on Tuesdays starting in August 2016. I am never quite sure if I am doing the right thing early in the year when it comes to reading notebooks. When I taught 4th and 5th grades, reading notebooks were such an important tool to my students' understanding around their reading. The things they were able to discover and understand and the high levels of talk around text were supported with the notebook. I've never been strict about a notebook--it is really a tool that my readers can use if it helps them understand. 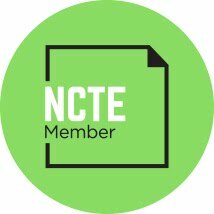 When I moved to 3rd grade a few years ago, I realized early on that most kids needed more time to build talk and oral language around books so the notebooks became a bit less important early in the year. 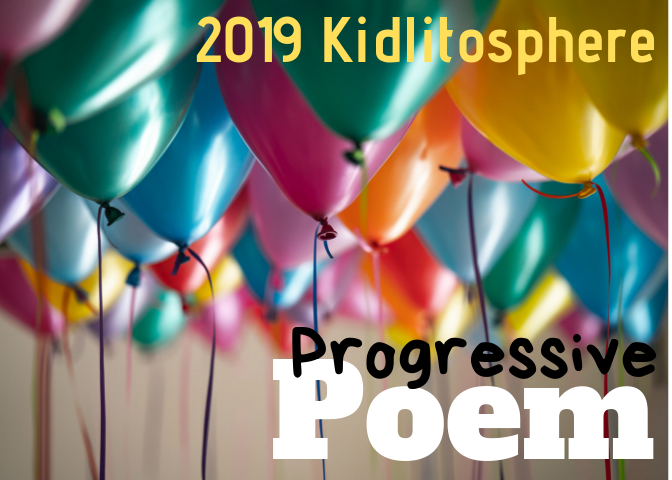 This year, I did the same thing that I did last year--I started read aloud off with a very tiny spiral notebook and an invitation to stop and jot several times each day during read aloud. I found last year that the tiny spiral notebook was inviting and much less intimidating than a regular notebook. 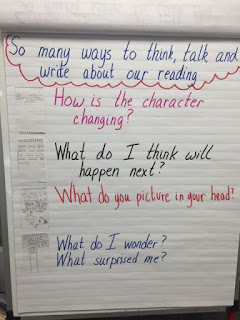 and that it was a good tool to introduce the idea of writing around reading. I almost never model something right off for my students. My thinking is that modeling right off gives them the message that I don't think they know how to do it and that is not an assumption I want to have about my students. So I wait and watch. Instead of modeling, I pay attention to what it is they can do and build on that. Then if needed, I'll model something new later--once I know they need modeling. 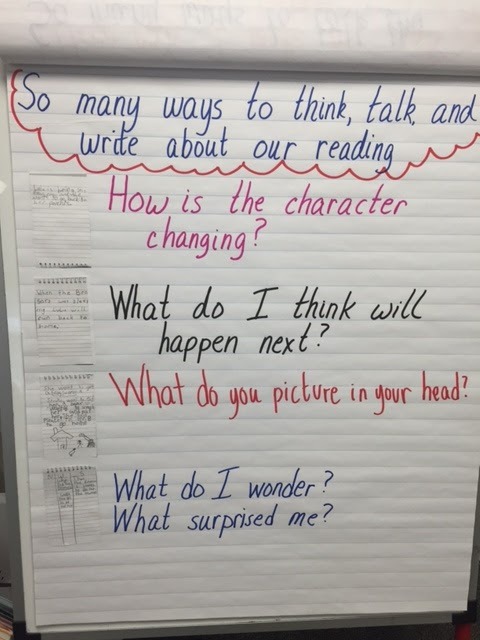 I scanned the notebooks for examples of each and we built the following chart about the ways we think, talk and write about books in our reading. As we started our 2nd read aloud (Mercy Watson to the Rescue), we looked at the chart and reflected on new kinds of thinking we could each try as we read. We talked about the fact that we might add new ways of thinking to the chart over the next few weeks. And kids seem excited to try new thing. One thing that you may not be able to see on the chart is a student sample that is divided into columns. A student made 2 columns labeled W and S to stand for Wonders and Surprises. The idea of a 2 column table to track different kinds of thinking appealed to a few students. As we move forward over the next several weeks of read aloud, I know this list will grow as we notice new ways of thinking. As we move to different kinds of books, we'll see that different books invite different kinds of thinking and the conversation will continue to grow. I've found that building slowly from where children are is key to making this kind of writing purposeful and powerful for students. Our new edition of Still Learning to Read was released last week! You can preview it online at Stenhouse! I love how you wait to model because you want students to have a chance to show their thinking first. The underlying rationale is a good reminder about messages we send and/or don't send. I love the idea of using tiny spiral notebooks during read alouds first to give the third graders some practice and not overwhelm them. Thanks for the post, I will try this with my G3 students.